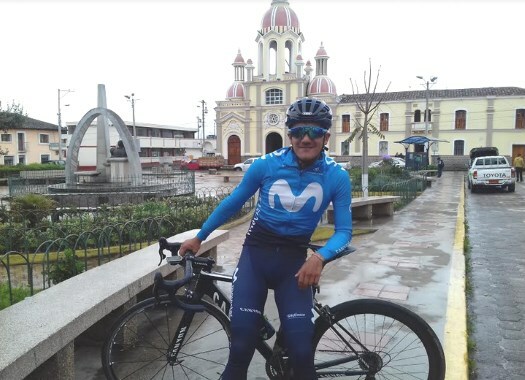 Movistar's Richard Carapaz has taken his first victory in a grand tour, a win that is also the first in a big race for his country, Ecuador. After a late attack, the rider arrived at the finish line by himself. "I'm very happy, very excited," he explained at the end of the stage. "It really is a beautiful victory with this finale. I've been working really hard and this is a very beautiful reward." Carapaz launched an attack in the last kilometers and could hold the advantage until the end. "I felt that I had very good legs from the bottom and I wanted to give it a try because I knew I wouldn't have too many possibilities if the stage was to be decided in a sprint," the Ecuadorian explained. "I attacked with two kilometres to go and everything turned out very well because I had very good legs and I could hold it until the end when I had the chance to celebrate." The rider doesn't have big plans for the rest of the race but he wants to keep discovering his first time in this race. "I will see day by day, I want to keep experiencing the Giro because I know it is very long until we get to Rome," he said. "I will be seeing day by day and taking advantage of everything we encounter on the road. Everything will be welcome."